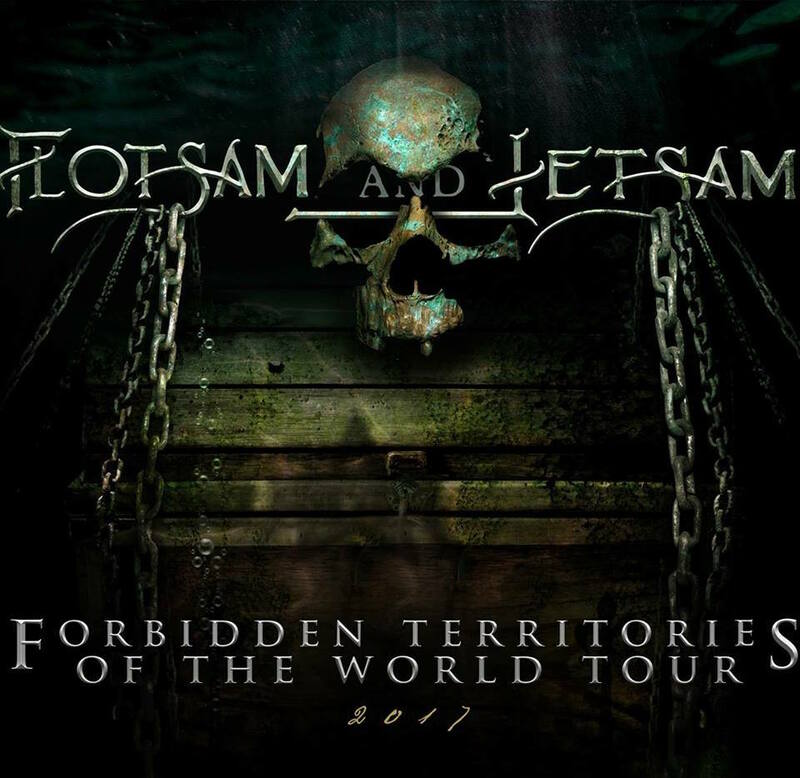 Arizona thrash metal veterans Flotsam and Jetsam will be embarking on a 4-show mini-tour next week, and will hit Southern California for two of those dates, Saturday July 22nd at Brick By Brick in San Diego, and Sunday July 23rd at Malone’s in Santa Ana. Metal Assault in association with Brick By Brick, ADHD Entertainment and Malone’s is giving away two pairs of tickets to the San Diego show and 5 pairs of tickets to the Santa Ana show. Please read the following rules, terms and guidelines, and enter the giveaway using the widgets below. 1. Giveaway is open now through Wednesday July 19th 11:59 PM PT. 2. Winners will be picked at random and will be contacted via email on Thursday July 20th. 4. Please do not enter unless you’re living in the San Diego/Santa Ana area or otherwise plan to be in town on the date of the show. We hate seeing tickets go to waste. 5. You will be required to respond to the winning notification by 8 PM on Thursday July 20th, otherwise the tickets will be reallocated, and the new winners will be contacted on Friday July 21st. And if you want to skip the giveaway process altogether, simply buy tickets to the San Diego show or Santa Ana show.